In the near future, a revolutionary new psychotherapy treatment called PT has been invented. Through a device called the "DC Mini" it is able to act as a "dream detective" to enter into people's dreams and explore their unconscious thoughts. Before the government can pass a bill authorizing the use of such advanced psychiatric technology, one of the prototypes is stolen, sending the research facility into an uproar. In the wrong hands, the potential misuse of the device could be devastating, allowing the user to completely annihilate a dreamer's personality while they are asleep. 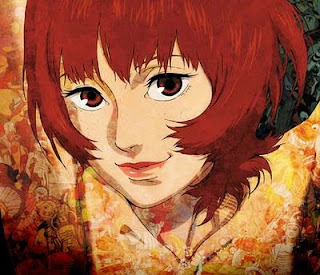 Renowned scientist, Dr. Atsuko Chiba, enters the dream world under her exotic alter-ego, code name "PAPRIKA," in an attempt to discover who is behind the plot to undermine the new invention. On a Christmas Eve, three Tokyo homeless -- mid-aged alcoholic man Gin, high school runaway girl Miyuki, and former drag queen Hana -- were searching dumpsters and trash bags for possible Christmas gifts for themselves, when cries from a baby drew their attention. Believing this was a gift from God, Hana, who couldn't have a baby of "her" own, vowed to take care of the abandoned baby girl and together they began searching for baby's mother. Descriptions courtesy of Anime News Network.